I officially owe George Perez an apology. 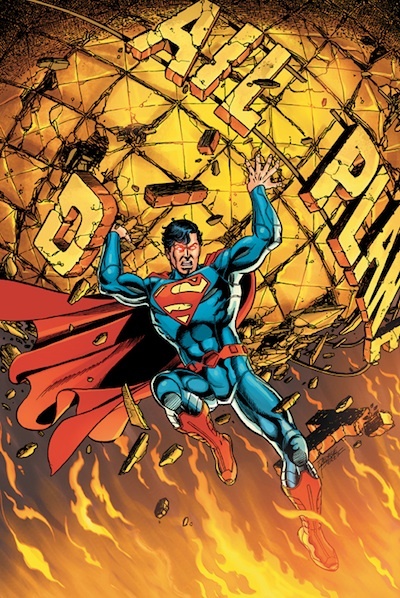 The Superman comic book has been garbage since the new 52 began for a plethora of reasons besides being too wordy, cheesy and getting in it’s own way while trying to tell a story. I was shocked at how bad these books were and was relieved when it was announced last November that Perez would be replaced this past March. The book is a smidge better now, but not as good as is should be and the book as already been assigned to it’s third creative team starting in August. I was pretty hard on George Perez in my ForcesOfGeek.com column over the last several months because I have been a huge Superman fan since I could read. Knowing what I know now about DC Comic’s lack of communication during the creative process, I apologize to you, Mr. Perez. George Perez has no idea I exist, but in a world where people use their laptops to criticize things, I believe that it is the responsibility of those same people to post and talk about their side of the story. There are always two sides. He must have received a ton of negative feedback for his work on the Man of Steel and this is one fan who wants to say he is sorry.